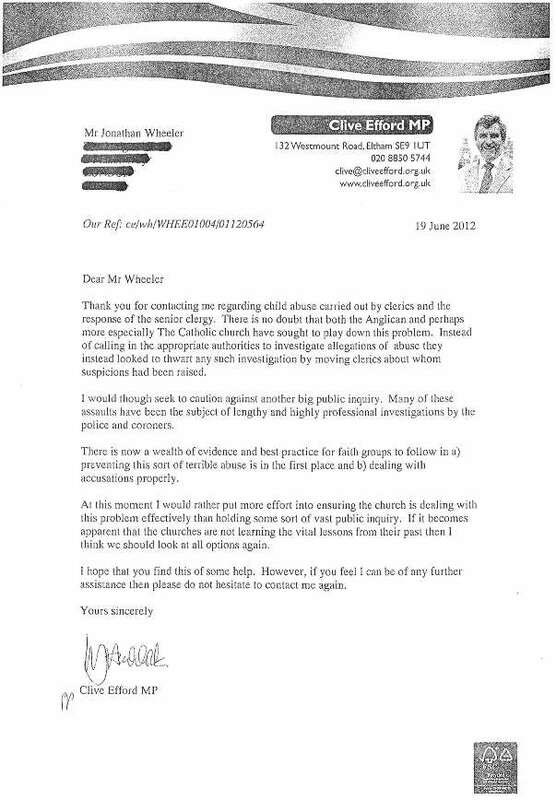 Jonathan Wheeler, head of the child abuse team here at Bolt Burdon Kemp wrote to his MP to urge his support for a public enquiry. 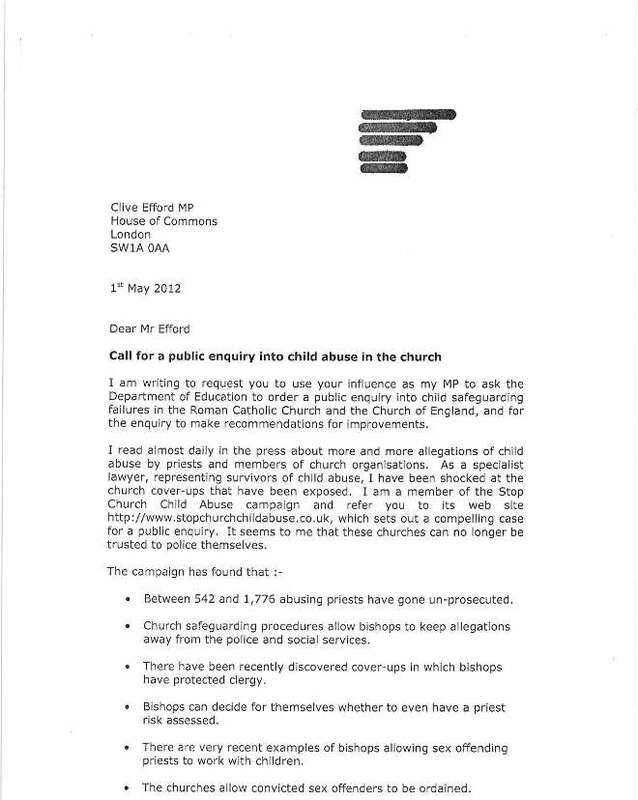 Jonathan’s letter, and his MP’s response are reproduced below. The MP’s response is disappointing but our campaign continues undaunted. We would argue that the churches cannot be trusted to police themselves and this is such an important issue that a public enquiry should be held here, just as it has been in Northern Ireland, the Republic of Ireland and elsewhere in Europe. Please feel free to use Jonathan’s letter as a template for your own – we would urge you all to write to your MP’s to see if we can get this on the political agenda.